EUJMR is a multidisciplinary outlet for the publication of research notes, empirical findings and conceptual articles that enfold the field of entrepreneurship, economics, administrative and social sciences. 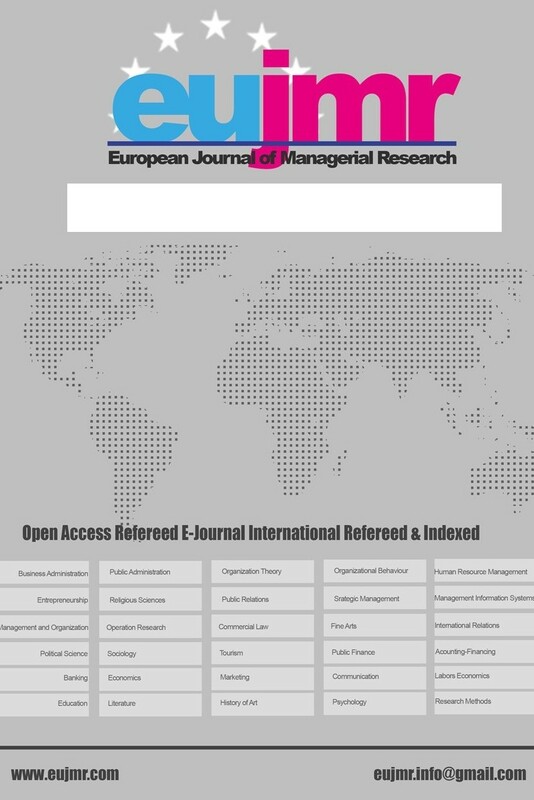 EUJMR is a peer-reviewed journal that publishes at least 2 issues per year. FATIGUED TURKEY AND THE ATTEMPTS TO RE-ENERGIZE THE 54 YEARS OLD EUROPEAN DREAM; IS THERE A HOPE?